Welcome! The Mark is New York's most stylish private residence. With a prestigious address in the heart of Manhattan on Madison Avenue, The Mark has been a favorite among international travelers for more than 75 years. We are privileged to be located in the exclusive shopping district of Manhattan near to such well known boutiques as Ralph Lauren Polo, Missoni, Vera Wang and more. It is within a few steps of Central Park, and close to well known museums such as The Metropolitan Museum, The Whitney, and The Guggenheim. Located on the upper East side of Manhattan in a residential district, the hotel is on the legendary Madison Avenue, minutes from midtown with complimentary shuttle ride to and from Wall Street. JFK Int'l Airport 12 miles away, La Guardia Airport 9 miles, Newark Airport 11 miles. Opened in 1926. Renovated in 1996 - Rooms and Public areas completely renovated. 177 rooms. 16 floors. Housed in a 1926 Neo - Italian Renaissance building in a prime residential location, The Mark, New York offers a variety of comfortable rooms and suites. All rooms have large working desk, personal fax, in room safe, double line telephone, voice mail, minibar, satellite & cable TV, Video and In house movies, dataport for modem connection and sound proof windows that open. Beautiful private bathroom is decorated in black and white tile with magnifying mirror, hair dryer, Terry bathrobes and Molton Brown bath Amenities. Many deluxe rooms have fully equipped kitchenettes. Voltage is 220V. One - Bedroom suite to Presidential Suite: The magnificent suites take the rooms to the next level - spacious, plush accommodations, fresh cut flowers, CD players - true luxury that's never stuffy. Mandarin One - bedroom suite, King Bed, 600 - 700 sq ft. Junior Suite, King, Queen Bed, 650 sq ft.
Executive Suite, King Bed, Kitchenette, 700 - 850 sq ft.
2 bedroom suite, King, Twin bed. 1235 Sq ft.
Terrace Suite, King Bed, Kitchenette, 1440 sq ft.
Tower Suite, King Bed, Living room, Kitchenette, 1580 sq ft.
Presidential Suite, Library, Terrace, 1860 sq ft.
All suites have beautiful spacious marble bathroom, mini bar, radio, satellite, cable TV, video, In - house movies, dataport for modem connection, sound proof windows that open, working desk, 2 line phones and Fax machine. Most suites have kitchenette and some with pullover sofa in the living room that is ideal for family. Some provide complimentary cellular phone with call forwarding feature.Presidential Suite has 2 terraces, spacious bedroom, marble foyer, living room, library, powder room and a kitchenette. Greenhouse Size is 14X28 sq ft. Theatre 30 persons, Reception 80 persons, Banquet 36 persons, Boardroom 22 persons. Madison Suite Size is 18x45 sq ft, Theatre 80 persons, Reception 120 persons, Banquet 70 persons, Boardroom 40 persons. Mark Suite Size is 24 x 82 sq ft.Theatre 200 persons, Reception 300 persons, Banquet 180 persons, Boardroom 100 persons. Fitness Center: Facilities and equipments:Sauna and Steam ShowerFree weights. LifeCycle Stairmaster Treadmill. 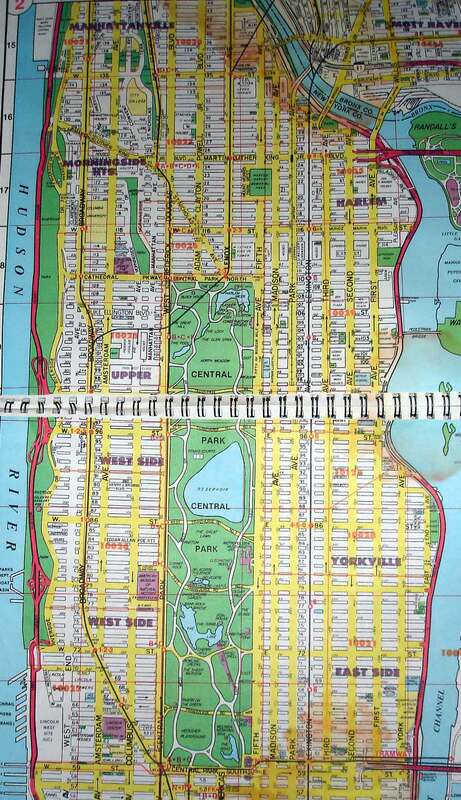 Central Park is only a block away and a jogging map can be found in all guest rooms. Mark's Restaurant: Mark's Restaurant offers a menu, service and ambiance that compare favorably with the best restaurants in the area. Executive Chef David Paulstich's cuisine combines French, Mediterranean, American, and Asian influences in the dishes he composes. Of important notice is that one does not require a jacket or tie to dine at Mark's.Mark's serves breakfast, lunch, dinner, Sunday brunch and afternoon tea.Seating capacity is 87. Mark's Bar: Intimate club - like atmosphere has made the Mark's Bar a popular rendezvous for hotel guests and neighbourhood residents. They serve beverages and light fare along with imaginative hors d'oeuvres.Dress Code: No jacket or tie required.Seating capacity: 30. Take New Jersey Turnpike north to Lincoln Tunnel - Manhattan Bound. At tunnel exit, make the turn onto 40th Street and go 6 blocks east to Madison Avenue. 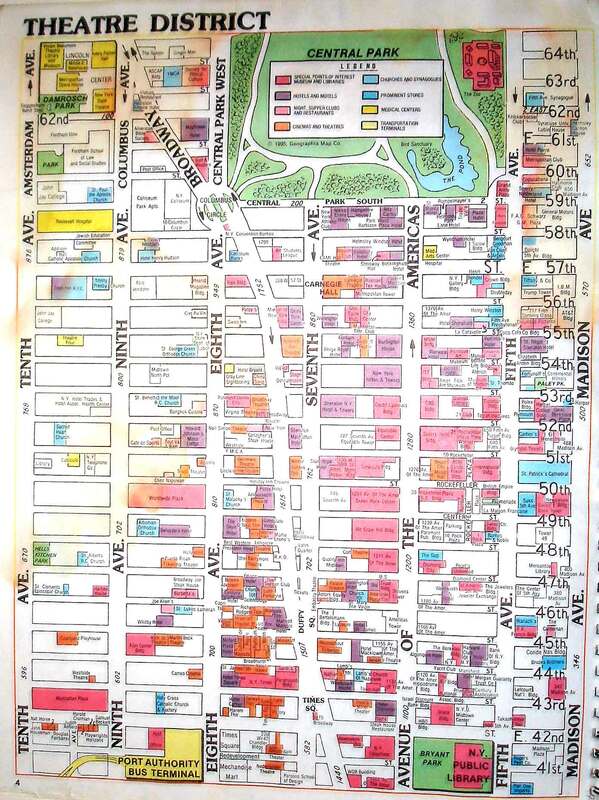 Make a left onto Madison Avenue and proceed north (uptown) to 77th Street. At 77th Street make a left. The Mark, New York is on the north side of 77th Street between Madison and Fifth Avenue. 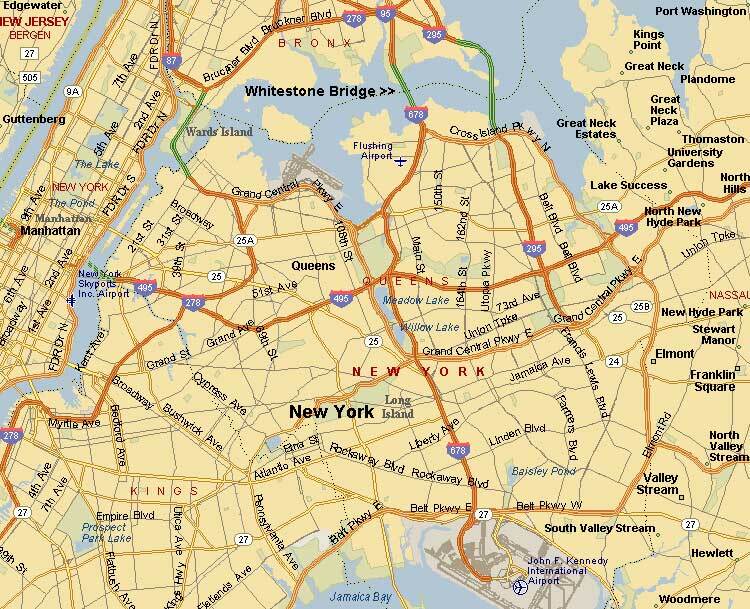 Take Van Wyck Expressway to Grand Central Parkway west to the Triboro Bridge. After toll, take FDR south towards 96th Street exit. 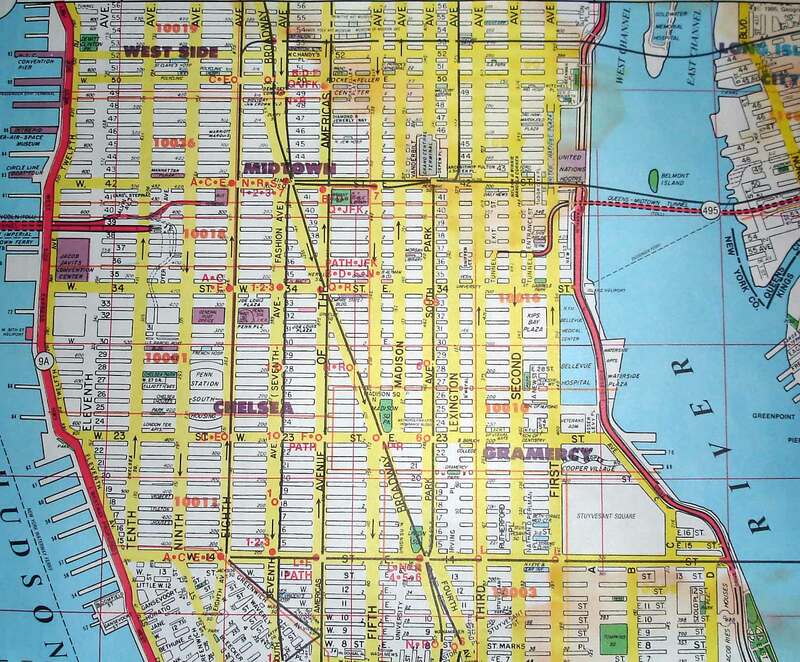 At 96th Street, make a right and travel west across 96th Street to Park Avenue. Make a right onto 77th Street and head west towards Madison Avenue. The Mark, New York is on the north side of 77th Street between Madison and Fifth Avenue.